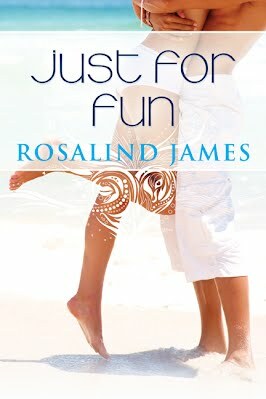 The fourth installment in the Escape to New Zealand series by Rosalind James is due out in early December! This is your chance to preview the novel, with a sneak peek at the cover and an excerpt! Fill out this form to enter to win! 'Sugar & Spice' Book Barrage! Sugar and spice makes everything nice, but mixing business and pleasure can come with a price . . .
Francis Stevens – Frankie to her friends – has declared herself permanently single after a couple of monumentally disastrous relationships. And she doesn’t mind at all. Between the international expansion of the lingerie catalog company she runs with her friends, labor strikes, and her regular work load, she has little time for love or a relationship. But Royce Weston has other ideas. After his family accuses him of becoming a workaholic, a chance encounter with Frankie at a night club has his mind on things other than business. As luck would have it, Royce winds up the executive assigned to work with Frankie and her lingerie company when she partners with his family’s investment firm to fund her expansion. Despite Frankie’s outward appearance of confidence and swagger, insecurities rear up and cause her to over compensate and drive harder for what she wants. Doubts weigh her down and with Royce watching her every move, she fights to keep her businesswoman’s façade firmly in place. But while Frankie tries her best to keep her mind on business, she can’t ignore the way Royce’s touch makes her feel or the fact that he makes it clear he’s interested in more than just a business relationship. When all of her defense mechanisms fail to keep him at arm’s length, Frankie finds herself wondering: is it possible to mix business and pleasure? Frankie froze. Was he asking her out? She shook her head, reminding herself it didn’t matter. Frankie dropped her pencil and sat back in her chair to stretch for a moment, “Sorry, I can’t. I need to get this done as soon as possible. 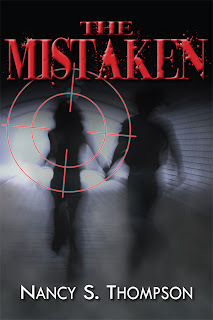 Wisconsin really set me back.” She tried to stomp down her regret. Whipping around, Frankie stared disbelieving at the sight of Royce standing in the doorway leading to her office. Looking much the same the night he showed up at her apartment with dark hair mussed, suit jacket slung over his arm, tie undone hanging around his neck, and his briefcase in his hand along with a brown paper bag. In his free hand, he held his BlackBerry to his ear. The corner of his mouth curving upward, he took the phone from his ear and turned it off without taking his eyes off her. “How did you get in?” Frankie finally asked when she found her voice again. Arching a brow, Royce pointed to the cell phone she still held to her ear. Turning her head, Frankie looked blankly at the phone as though she didn’t know how it got there. With an embarrassed blush rushing up her cheeks, she rolled her eyes at herself and turned the phone off. Coming around behind her chair, Royce pulled it out from under the table, “My mother was born and raised in Vegas. If there’s one thing she taught me, other than never talk to strangers and always brush my teeth …” he informed her as he pulled Frankie to her feet, her shock at his sudden appearance and his announcement made it easy. As Fly With Me began, Frankie had the vague sensation of her feet moving in step as Royce led her in time with the melody. “I should warn you, I’ve broken toes before,” she tried for a light tone. She found herself having a hard time breathing. Had the room been this warm all night? With the same lopsided grin, “I think I’ll take my chances,” he informed her right before moving her into an unexpected turn. Almost losing her balance, Royce caught her just before she lost her footing, causing her to laugh as she fell back in step with him. She couldn’t help but enjoy herself. When he moved for another turn, she stood ready for him, laughing smugly, ridiculously proud of herself. “Not bad,” he gave an approving nod. “Maybe for an empty office, but not exactly ballroom material,” she joked. The song ended and flowed into Bewitched, Bothered, and Bewildered so quickly, Frankie didn’t even notice when Royce slowed their movements considerably. “Well, you’re still very good. And I agree with your mother, it is romantic,” she chuckled. When they actually stopped moving, Frankie didn’t know. But she soon realized they stood still, his fierce sapphire gaze locked with hers. She ordered herself to break the contact to look anywhere else but into his eyes, but she couldn’t. He leaned slightly downward towards her, “Maybe Mom was right,” he whispered, his head descending the rest of the way. 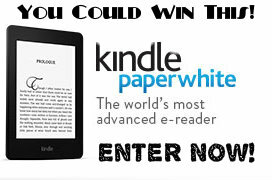 Prize is 5 eBook copies of "Sugar & Spice" (1 each to 5 winners). Contest is tour-wide and open internationally. Must be 18 years of age or older to enter. Ends Dec 4. Enter via Rafflecopter below. 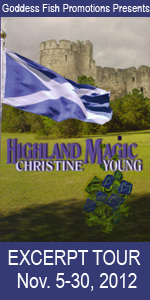 Welcome to the Excerpt Tour for Highland Magic by Christine Young, hosted by Goddess Fish tours. Check out an excerpt below and then follow the rest of the tour for even more! Throughout the Highlands she is known as Keely, the witch woman. She is a great healer-a woman whose dreams come true. Ian MacPherson is a man who puts honor, loyalty and duty above everything. 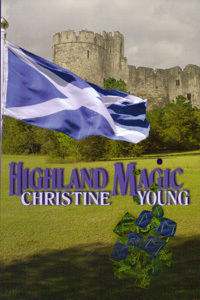 Their lives are entwined when Ian is sent by the Scottish King to bring Keely to trial for witchcraft. He is attacked and left for dead, but Keely rescues him. When he wakes, he discovers he has no memory. As he remembers his lost past, Ian finds that his need to protect the woman who has saved his life eclipses his duty to his king and country., He is a man torn between honor and duty to his country and the woman he loves. "The runes have said otherwise. You have always told me they are my heart and I must heed them, bow to their power. I am afraid, though. I understand there is much uncertainty in the land. I ken that James searches for me, calls me witch woman and accuses me of treason. And yet--" She broke off suddenly, unable to form the words which would hurt Whipple deeply. She would set her course with Ian even though she understood he might well be on the King's mission. "Ye cannot marry that man." Keely did not understand Whipple and this new edict. He'd been gone for days and now he returned, commanding her to not wed Ian. "He wanted to wed me this night. He says he can protect me if we are married." "Danger abounds in these hills. He is one of James' men. I did not wish to frighten ye, but if ye are caught, they will condemn ye as a witch and he will not raise a hand in your defense." "They have already condemned me. Ian will keep me safe. He has been honest with me. He has explained all that he remembers." "I cannot let ye do this," Whipple snarled, his voice raspy with unspoken emotion. "You cannot stop me. Nor could you stop Ian." She was more than aware of Whipple's condition. He was powerless and yet he seemed to rise above his handicap. His shoulders squared and his nostrils flared. His anger was something she had rarely seen. "Have ye lost all sense? He does not have your welfare in mind. He will hand ye over to your enemies. Have ye not heard a word of what I have said? He is the King's man." Both arms and his cane were raised skyward as if he meant to conjure lightning bolts. 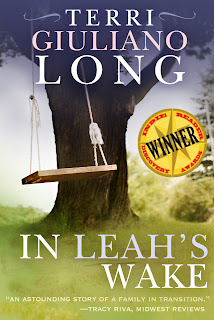 Recipient of multiple awards and honors, In Leah’s Wake is a compelling and satisfying reading experience with important truths to share—by a new author with the voice of a natural storyteller and an unfailingly keen understanding of the human condition…at every age. They were stopped at an intersection, waiting for the light to change. Zoe looked at her daughter and smiled. “Thank you, honey. That’s sweet.” This is my daughter, she thought. This is my Leah. Why in the world were they constantly fighting? Getting along required only this: mutual respect. The car behind them honked. The light had turned. Startled, Zoe stepped too heavily on the gas. The car jerked into the intersection. Leah grabbed the handhold above her door, letting out a yelp. After that, Leah grew quiet. They passed a cornfield, the harvested stalks lying in the furrows, to be shredded for compost. Soon the fields gave way to forest. Leah yawned. Within minutes, she was asleep. Zoe turned off the radio and plugged a CD into the changer. The Liszt piano solos had been a gift from a student. “You’ll like the freethinking music,” the woman had said, and she had been right. Zoe stroked Leah’s temples, pushing the hair out of her daughter’s eyes. Zoe felt sick about their blowout yesterday. The business with this Todd was her fault as much as Leah’s. If she’d paid closer attention to her daughter, instead of allowing herself to be driven by the demands of work, Leah would not have looked for affirmation from a person like Corbett. That’s all in the past, Zoe vowed. From now on, she planned to be available for her children. She’d rearrange her patient schedule so that she was there when Justine came home from school. She’d pick up Leah after practice; she’d attend every game. She would set aside at least four hours of individual, quality time, per week, for each of the girls. She’d pack healthy, appetizing lunches. Bake cookies. Sew Halloween outfits. She’d be the perfect mother. Better than perfect, she thought, and brought herself up short. Let’s not get ahead of ourselves. Let’s take this one step at a time. 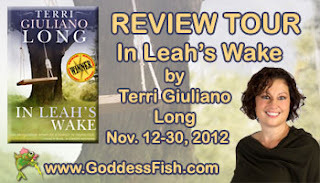 On Old Orchard Road, a mile from home, Leah opened her eyes, yawning. “I was having this crazy dream,” she said, yawning again. “You weren’t home,” Leah said, a hint of accusation in her tone. “Dad was pissed.” Leah scraped her thumbnail, chipping the garish blue polish. Slouching, Leah slid her hands under her thighs. “He doesn’t need to.” She wasn’t a baby. Leah clapped her hands over her ears. “La, la, la, la, la,” Leah sang. “La, la, la, la, la,” Leah trilled, her voice drowning Zoe’s. “I don’t need this.” Leah flipped the lock on her door. Leah slammed the door, and went hurtling into the house. The histrionic gypsy music rang in Zoe’s ears. She slapped the dash, her fingers fumbling with the dial, and cut the music off. She’d lost her cool, said all the wrong things. Leah was spewing words, trying to hurt Zoe as much as Zoe had hurt her. Leah wanted reassurance. She wanted to be told she was capable and smart. She wanted to know that Zoe was proud of her, that she trusted her to make her own decisions. Zoe had let her down. She’d seen the ache in her daughter’s eyes, the disappointment. Maybe this was what people meant by the term “growing pains,” not the pain children experienced in their joints as their limbs grew, but the ache they felt in their hearts. Zoe stared at the discarded playthings in their garage, Leah’s dollhouse, her tricycle, her wooden blocks dissolving in a watery blur. If only you knew how hard it is to watch you stumble, to see you in pain. Pull yourself together, Zoe told herself. Don’t let your failures defeat you. Yet here she was, her failures an anchor, sucking her under the sea. This is a painful book to read. You can feel the angst of Leah and her family from the very first page. They love each other and everything seems to be going well, but so much can change so fast. It's hard to pinpoint exactly when everything went wrong. Everyone is at fault, even if they don't realize it. I feel like I have personally known every character in this book. Perhaps I have even been in some of the situations. Life is a roller coaster ride with unexpected twists and turns, all of which you find in this book. Perhaps it will help some parents remember what it is like to be in the throes of teen angst. Perhaps it will help some teens realize how those seemingly innocent decisions or risks really aren't the greatest idea. 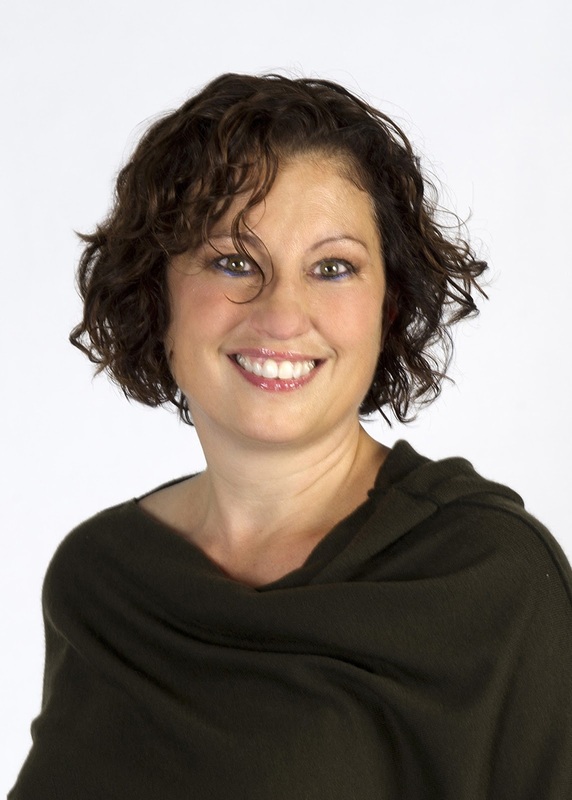 Terri will be awarding a $100 Holiday Cash Amazon Gift Card to a randomly drawn commenter during the tour. Follow the tour for more chances to win! 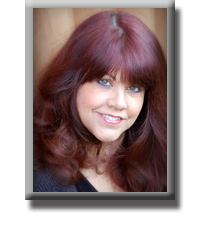 'Chasing the Witch' Book Blast! 'Incredible Dreams' Book Tour Blast! 'Velvet' Book Tour - Read an excerpt! Macho Men Like Giveaways, Too! 'Pump It Up' Book Blast! 'Breathless' Blurb Blitz Tour - 4 New Romances! 'Chasing the Witch' Release Day Party Nov. 28th! 'Shadow Cay' Book Tour Blast! 'Forged By Greed' Book Blast! 'Wolf Magic' Book Blast! Win a GC and books! 'Lost and Found' Mini Book Tour Book Blast!